Emily Ray comes from a Minnesotan family, but grew up in Rock Springs Wyoming. Her first fishing experiences were ice fishing and trolling on the Flaming Gorge Dam. During college she worked summers as a whitewater guide in the Wind River Canyon near Thermopolis, Wyoming. This is where she honed her rowing and fly fishing skills. Later she moved to Lander, Wyoming and worked for the Lander Llama Company as a hiking and fishing guide and became a very experienced Llama wrangler. Emily spent most of her childhood summers in Pinedale at her parent’s cabin, and looked for any opportunity to return to the Pinedale area. Emily joined the guide staff at Two Rivers, where she was able to use all of her skills to provide a wonderful outdoor recreational experience for a multitude of individuals from all over the world. 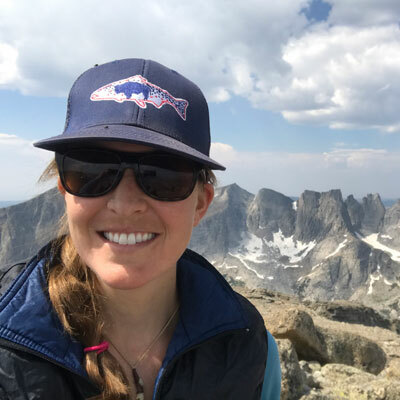 Emily enjoys introducing individuals to the wonderful physical attributes of Sublette County and feels very fortunate to live in this part of the state where there are so many outstanding fishing, hiking and hunting opportunities.